As we approach the Hyde Amendment's 40th Anniversary on September 30, imagine what a future with reproductive justice looks like. There are no abortion restrictions. There is no abortion stigma. We can plan and construct our families without judgement or a prescribed notion of what family should look like. Our communities are thriving without the threat of oppression or violence. Queer and trans folks and women of color are centered. We have justice. We are at peace. Imagine. What does your future look like? 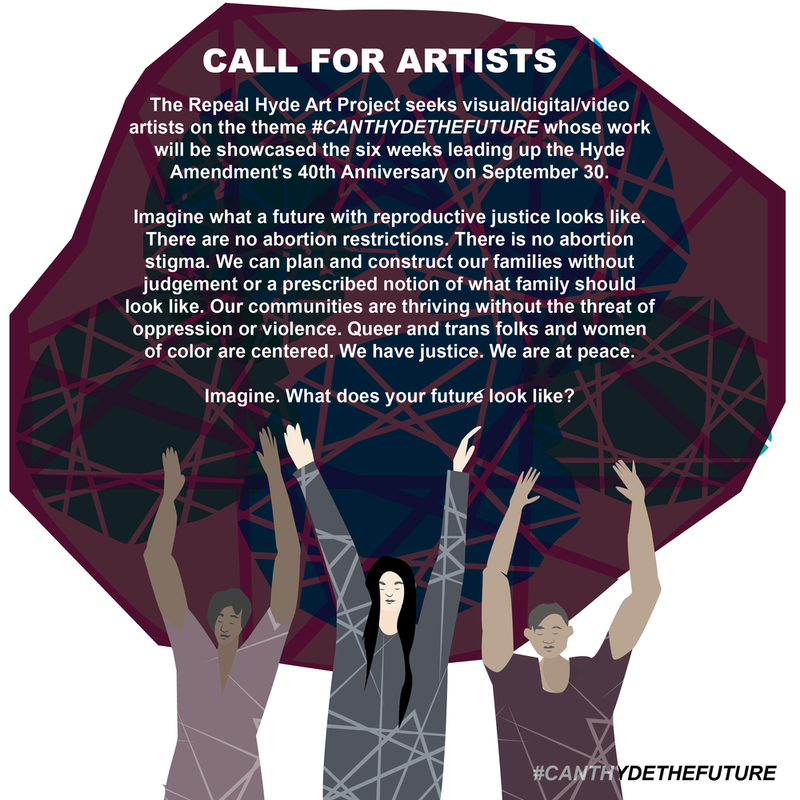 We seek six visual/digital/video artists on the theme #CANTHYDETHEFUTURE whose work will be showcased in the six weeks leading up to September 30. These artists will be featured in the campaign along with the voices of other leaders, activists, and artists. APPLY HERE BY AUGUST 1.